Renowned actor and director Clint Eastwood boasts a career in the film industry spanning more than half a century, during which he has never strayed from controversy in terms of subject matter. 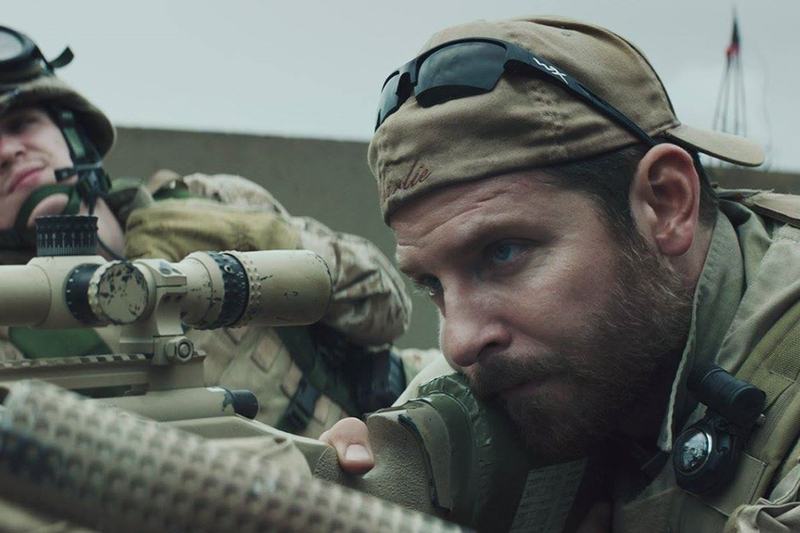 Never has this been more apparent than in Eastwood’s latest directorial entry, American Sniper, which tells the true story of Navy SEAL marksman Chris Kyle (Bradley Cooper, Silver Linings Playbook). Kyle rose to fame in the 2000s due to his reputation as the deadliest sniper in American military history, a title that he earned during his four tours in Iraq; the film chronicles Kyle’s early military years, the physical and moral dilemmas he faces in his position and the increasingly corrosive effect that his time overseas has on his family life at home. In brief, Sniper is brutal in its portrayal of the war as seen through the scope of Kyle’s rifle; no man, woman or child escapes the violent ripples caused by the conflicts between terrorism and democracy, and Eastwood is unafraid of showing the gory details. However, for a film that appears so focused on its depiction of outward images of violence, the true meat of the story lies in its realistic portrayal Kyle’s internal, psychological struggles, as his body count steadily climbs in the name of his country. Cooper, who previously has been mainly featured comedy films rather than action or war films, gives an Academy Award-nominated performance that particularly includes subtle facial expressions and tense bodily movements as he cycles through Kyle’s early years as a promising recruit, all the way through the intensities of his tours and finally ending with the unforeseen barriers he faces as a veteran in rural America. Accompanying Kyle along the journey is his wife (Sienna Miller, G.I. Joe: The Rise of Cobra), whose struggles on the home front reach entirely different levels of intensity and often helplessness in the face of her husband’s growing moral burdens. These burdens, and Kyle’s struggle to overcome them, form the core of the film: the sniper is forced to shoot down children in the streets during his time oversees, then is expected to come home after months and play with his own children in the backyard without batting an eye. The juxtapositions present in his life lead Kyle on a path of degradation, regret and eventual redemption, and it is a credit to Eastwood’s directorial skills that film’s shocking ending does not manage to overshadow the emotional and physical realities present throughout the story.